The DCS curriculum uses approved materials from various publishers and incorporates selected manipulative and enrichment materials into the educational program. 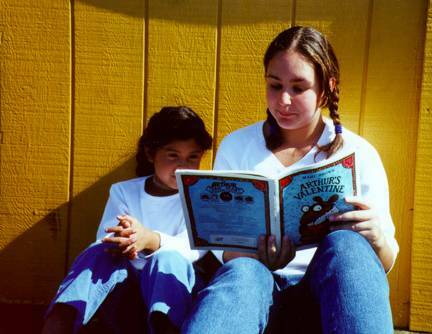 The Discovery Center School uses Cultural Literacy, the California Frameworks and Standards, as well as Common Core, to assist in the assessment of student achievement. Standardized tests are used to give an indication of student progress. We do not believe in "teaching to the test" as that skews test results and invalidates the scores. The best judge of student progress is the teacher who knows the students and is the experienced professional in the classroom. Teachers at DCS may use such tried and true methods as Core Learning, one-on-one tutoring, and other creative methods to promote real learning. We believe nothing can replace a good textbook and a qualified teacher. Because of this the administration allows each teacher to teach in his or her own style. This provides a healthy and productive classroom environment. DCS believes it is important for students to think critically and to identify and use many thinking skills and behaviors. Teachers encourage students to communicate effectively and meaningfully. They teach students how to think rather than what to think. Politics and religion are left up to the family. Teachers show students how to most effectively demonstrate their knowledge. Teachers use their skills to interest students in the learning process. Each student has a unique cognitive ability and drive. Each student learns in different ways (auditory, visual, kinesthetic, sensory) and at different paces, and is therefore entitled to a differentiated curriculum approach to the instructional process. Modifications and extensions to learning are routinely provided. Each student needs structure, guidance and practice to feel secure and confident in the learning process. Students learn through a well-balanced environment routinely using all their senses. Students need strong role models on their path towards internalizing personal discipline, responsibility, and respect with the acquisition and development of their knowledge base. Students benefit from a wide variety of information and experiences. Students learn from their total environment and need regular practice with independent thought, cooperative learning, and organized purposeful expression of their growing skills. In grades K-2, the focus of our curriculum is to provide each student with a strong basic foundation in initial reading, writing, speaking, and listening skills. The love of good literature is nurtured through many special projects. Students learn to write stories, keep journals, and write letters. Students develop the basic understanding of numerals and number systems. Emphasis is placed on the operations of addition and subtraction. The concepts of time, money, simple geometry, probability, and measurement are also explored. Mathematical thinking is identified and practiced. The concepts of family, school, and community serve as the foundation for social studies. 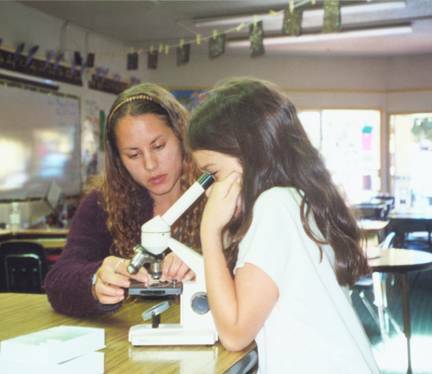 Under the guidelines of sound educational philosophies, students begin their studies into scientific inquiry, using units of study in the physical and natural science areas. Computers are used as a tool to augment the search for information, and an aid in beginning the art of organizing information through desktop software applications. Introduction to Foreign Language begins in Kindergarten and continues throughout the grades. Physical education and art are integrated into the curriculum. A good deal of emphasis is placed on the joy of learning! In grades 3 - 5, the students continue to build on their developmental foundation. In reading, writing, speaking and listening, the emphasis is placed on developing a strong repertoire of skills in the area of comprehension and fluency. An array of literature genres (poetry, fiction, non-fiction, legends, fables, etc.) are read and discussed. Writing as a process is studied. Students learn the basics of prewriting, drafting, and editing their own work. Proper sentence structure, punctuation, spelling, and paragraph development are emphasized. Students continue developing the basic skills involved in mathematical operations, with the addition of multiplication, division and higher concepts. No student is artificially held back in mathematics if realistically ready to go on. The strands of geometry, probability and statistics, measurement, simple algebraic thinking, problem solving, decimals, and fractions are also included. In social science, students learn about natural landscape formations, explore Native American cultures, and learn about California and then United States history. Through research projects, field trips, performance based project learning, and independent study, they expand their knowledge of the people, cultures, and rich traditions of the world, both past and present. In applied science, they continue to promote their critical and creative thinking skills. 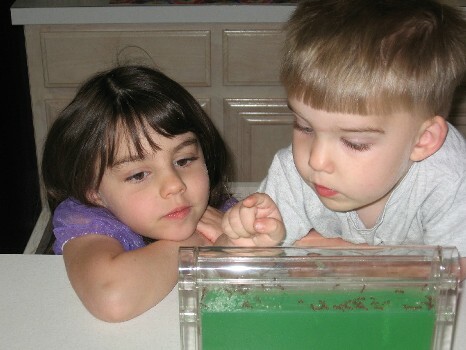 They learn to use the scientific method of forming a hypothesis, collecting data, problem solving, and generalizing. Areas of study may include animal and plant life, energy, light, sound, and space. Formal instruction in Foreign Language continues, as does art and physical education. Educational and cultural field trips expand the classroom beyond the walls of the school. Computers are used to support the learning in the classroom. Keyboarding is offered, along with continued expansion of information gathering and sorting skills, and in the use of various applications to organize and present projects. In grades 6 - 8 students take English, mathematics, history, science, foreign language and physical education, as well as music, art and computers, in preparation for high school. The students at this juncture solidify their core knowledge base of functional literacy, mathematics, and social and applied sciences. Upon this strong foundation, they continue to become more proficient in gathering and evaluating information, identifying and understanding relationships, mastering critical thinking skills, and communicating effectively with meaning and direct intent. Students who are ready may begin algebra and geometry. Small group projects are balanced with personalized independent performances. After graduation from Middle School, students are welcome to continue on at The Discovery Center School for their college preparatory high school studies. If they choose to apply to other high schools, DCS will help with high school applications. The reading program at this level consists of reading and studying selected literature. Study of literary terms, vocabulary development, familiarity with authors and their work, identifications of plot, viewpoint, setting, characterization, symbolism, tone, irony, etc., are among several key elements of this program. In a variety of creative, expository, and persuasive writing assignments, students continue to focus on writing as a process, emphasizing fluency, coherence, and voice as well as the mechanics of writing. Students may also explore the areas of public speaking and dramatic expression. The high school is given a comprehensive four-year program which prepares each student to apply to the University of California or the college or university of choice. College entrance depends on making a good impression on the college counselor. A combination of good SAT scores, a great transcipt, high GPA (grade point average), good teacher recommendations and intriguing student essays will prepare each student for application to colleges and universities anywhere in the world. Students take English, mathematics, social science, science, foreign language and physical education each year. For enrichment and to fill out the electives so impressive to college counselors, students also take courses in fine arts, performing arts and computers. Our goal is to prepare students for entrance into the University of California which qualifies them to go anywhere.